My first book, done in partnership with my late friend, Rob Box. There are a few boo-boos in it, and the format is a little outdated, but there’s still a lot of valid information to be found. We put together info on all of DeTomaso’s cars up to that time, including racers and prototypes. There are some great photos in here, many of which were taken at the DeTomaso factory in Modena, which is sadly no longer in operation. This book is long out of print, and absolutely collectible now. 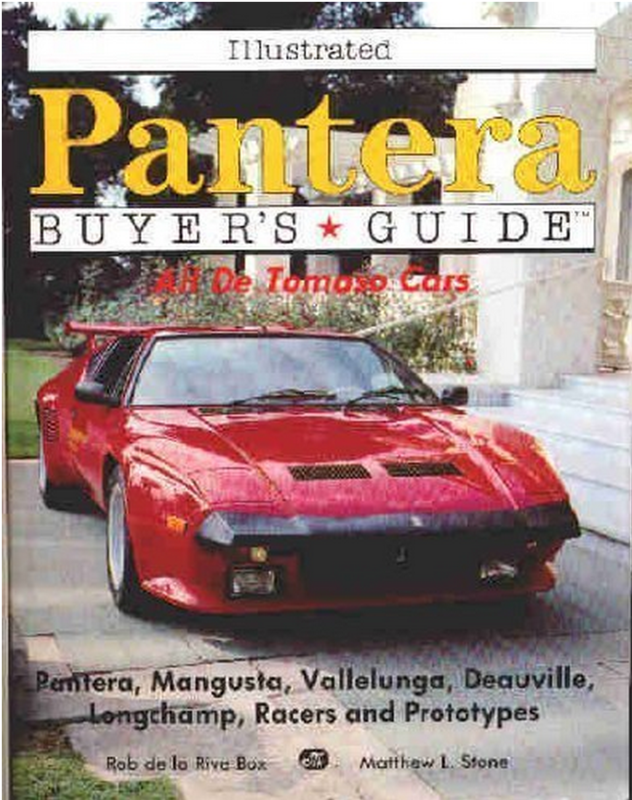 Check eBay or with one of the Pantera parts specialists.